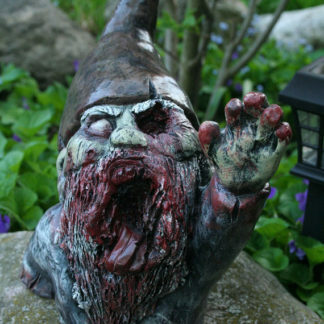 As a caring Gnome in the little Gnomish community, Seymour was always there to talk. He’d always encourage the rest of his Dwarfish brethren to “open up”. As coincidence would have it, now he’s the one spilling his guts! 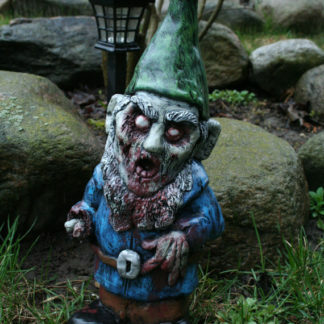 One of the original infected, his plump pot belly made him appear like a juicy pulled-pork-pot-pie-pleasure to the rest of the hungry undead in the garden. So, without hesitation he was torn open like a Thanksgiving turkey and the visceral mess you see before you is what remains of him today. Standing at 13in tall and weighing in at a whopping 13lbs. 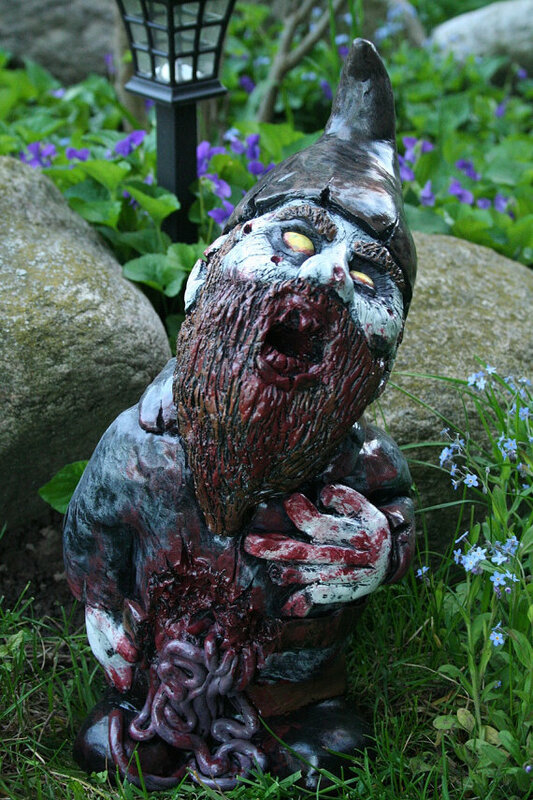 He is cast in solid gypsum cement and ready to display his innards in your garden!